So, I didn't start 2018 out as great as I did 2017. I got through six books in January, compared to nine in January of 2017. The reality is, I honestly spent more time hanging out with the hubby - watching tv or whatever, and I'm totally okay with that. If I can keep up with six books each month, that would totally work. My goal for 2018 is 65 books and six a month will get me there. I'll continue to prioritize reading, while also making the most of other things I want to participate in. The great news is that I read some great books during the month. The second half of 2017 was pretty rough in reading - there were a lot of books I read that were just blah to me. But most of what I read the first month of 2018 was pretty high quality stuff. Brief synopsis: From the founder of before-you-go spray, Poo~Pourri comes this fun self-help book that's unlike any self-help book you've ever read before. Full of great advice, with a spritz of poo jokes, The Woo of Poo will have you giggling throughout. While the advice is sound, and the poo jokes had be laughing out loud, I have a hard time rating self-help books. So don't take the three stars as a bad thing - it's more of a neutral feeling. POPSUGAR Reading Challenge Prompt: A book by an author with the same first or last name as you. POPSUGAR Reading Challenge Prompt: A book with alliteration in the title. Brief synopsis: Dr. Anna Fox is agoraphobic. She's also a child psychologist. 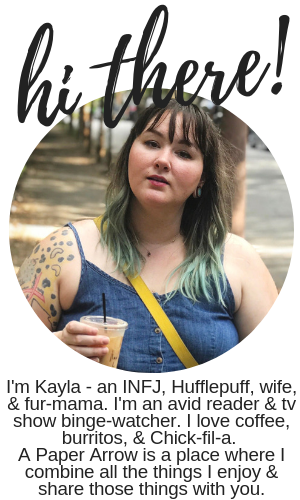 She and her husband are separated. While her husband and daughter are away, she stays in their townhouse in Harlem. Unable to leave the house, Anna spends her days helping other agoraphobes via an online chat room, playing online chess, oh, and spying on her neighbors. When she sees something terrible happen next door - will anyone believe her, or will it be attributed to the fact she hasn't left the house in almost a year, or maybe the pills she's mixing with alcohol. 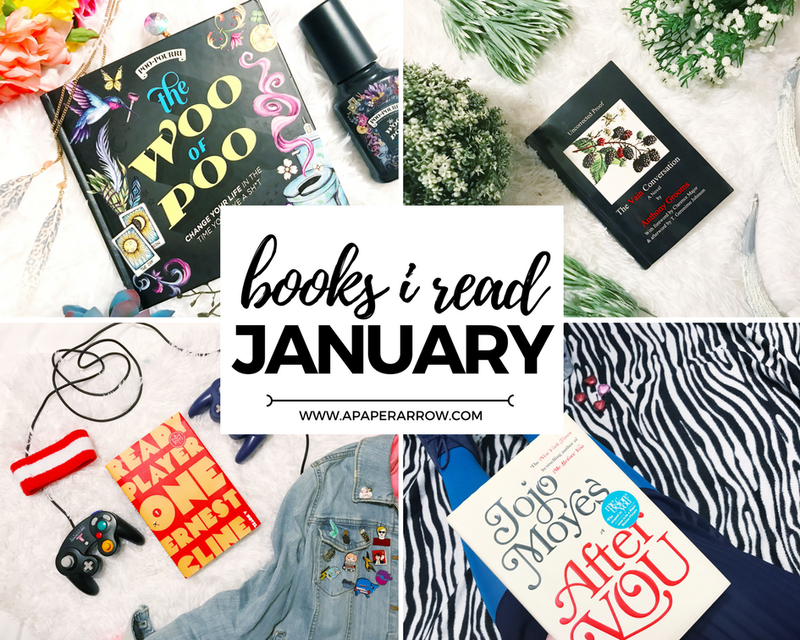 What were your favorite reads of January? I'm on the waitlist for Still You and The Woman in the Window and am so excited for both! I don't remember very much from After You, so I probably need to go back for a refresher before I start the next one. Ooh. I hope you get both of them soon and enjoy them! I'm excited to read Still Me after I finish Little & Lion, which is what I'm reading now. It had been three years between Me Before You and After You, but luckily as I read, I would remember. I've been on the waitlist for The Animators forever now. May just have to buy it! I got it at 2nd & Charles for like $5. Definitely check around to see if you can find it anywhere for cheap. It's so good! I’ve gotta check out After You and Ready Player One. I’m reading a book now and having a hard time getting in to it that it then slows my progress for my goal the whole month. You did good for January! Ready Player One is so amazing! And I hate when that happens. I have a difficult time giving up on books, so I'll struggle through one which messes up my entire month. Boo.